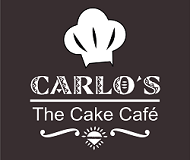 Carlos Cake Cafe Bakery is the most popular and well known Cake Shops in Bellandur. 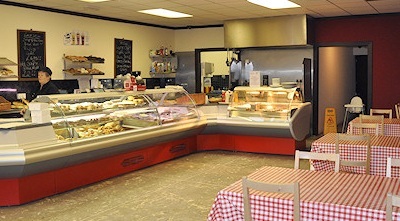 We are specialized in making Fresh Cream Cake, Chocolate Cake and delicious pastries. Calros Cake Shop near Bellandur creates classic and delicious cakes with desirable flavors for the occasions. Our well experienced bakers provide amazingly designed dessert creations using natural fruits like strawberries, apple and variety of other fresh fruits to create moth watering cakes and tarts. We offer you our best catering and other party needs along with excellent dessert menu of chocolates, pastries and cookies. Therefore, whenever you thought about perfect birthday bash or parties we came up with moth melting cakes for a perfect fit. Carlos Cakes in Bellandur is family owned bakery shop and provides personalized service to any special occasions for our valuable clients. In addition to this, our decorators use only finest and freshest components available that fill empty spaces and bring the smile on your face. Carlos Cake Shop in Bellandur Bangalore hire only well experienced bakers who have talent to make each cake and other stuff with different taste and feelings. We are here to ensure that your every occasion become unique and memorable. Our products are pure and fresh and are prepared in absolute hygienic conditions. In Carlos Cake Shop you can give Online Cake Order in Bangalore bellandur. We understand your feelings and that why we focus on every bit of the order. Surely, you will find many ordinary bakery shops in bellandur, but Carlos Cake is best in every aspects. Owner as well as staff members all are very professional and deliver quality services to the clients. Apart from this, you can also give order to get special customized cakes. We provide all kinds of cakes for any occasion at very reasonable rates. Carlos Cake Cafe offers fastest Online Cake Delivery in Bangalore Bellandur. Carlos Cake Shop near Bellandur specializes in visualizing client’s imagination into cakes which brighten up the party. We create all stuff that is not just delicious but according to your guests demand and taste. In addition to this, we can also execute perfect menu those who asked for help in creating surprise birthday bash. Carlos Cake Shop in Bellandur Bangalore add magical touch to any recipe and can bring out the best flavor. We deliver Online Cake Order in Bangalore bellandur at your door steps without wasting your precious time. We have widest range of premium cakes, pastries, puddings, shot glasses mini donuts and many more amazing desserts. Cake shop in Bellandur not only deliver awesome moth watering cakes but we also take care of nutritional value, hygiene factor and health. We are concerned about your health and that’s why we offer only quality products with nutritional values. And also you can get Order Cake Online in Marathahalli without any extra cost. We value our customer and we ensure that everyone remembers us through baking, decorating and creating. Carlos Cake has been creating cakes and desserts long before it was the trendy thing to do for any occasion.